My heart goes even more quiet and a sense of joy and relief/coupled with regret and shock spill over me. Joy, for having been alive and part of the land this remarkable and extraordinary, true-to-heart man, our Madiba lived and changed for us all. Relief, because he went in peace at home. He was part of our land for such an incredible life time and hopefully he has an even better view now. I feel quiet and sad for the us, that his time did come to an end. People like him should live forever. He is a beautiful reminder of how good we are and how much love can alter. He was an example of conscious living and I would’ve loved to have met him and know him and feel his bright smile. Grandfather, father, leader of leaders. I look forward to being home and walking in the hills of magnificent Transkei. I miss you South Africa. I miss being able to just be with you today, this week, mourning and remembering. Sitting and being with the knowing that he truly existed and that with our reverence he will continue to change us, move us forward and remind us of ourselves, he is and has been a legend. Telling the story of Jack and the Beanstalk around a fire about a week ago,[the unedited Dr. Clarissa Pinkola Estes version], looking for the metaphors and symbolism in our lives. It was Madiba that came to mind as our Jack. Who had the courage to take the beans in the first place and then had the strength to climb the bean stalk and the wisdom to deal with the giant to bring forgiveness back to our land which made our soil fertile again for new growth and a new way. Thank you Madiba, your spirit and courage and incredible wisdom will forever inspire and we will take care of this land and its people accordingly. 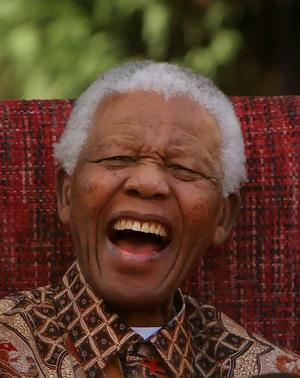 Ek was nog so klein toe dinge in ons land afgespeel het om Madiba se ware menswees bekend te maak. Ek staan verstom en dankbaar dat ek die oomblikke van sy lewe wat op tv beskikbaar was en in ons strate gevoel kon word kon waarneem en later verstaan. For now I want to allow the quiet to be and your soul to soar free.